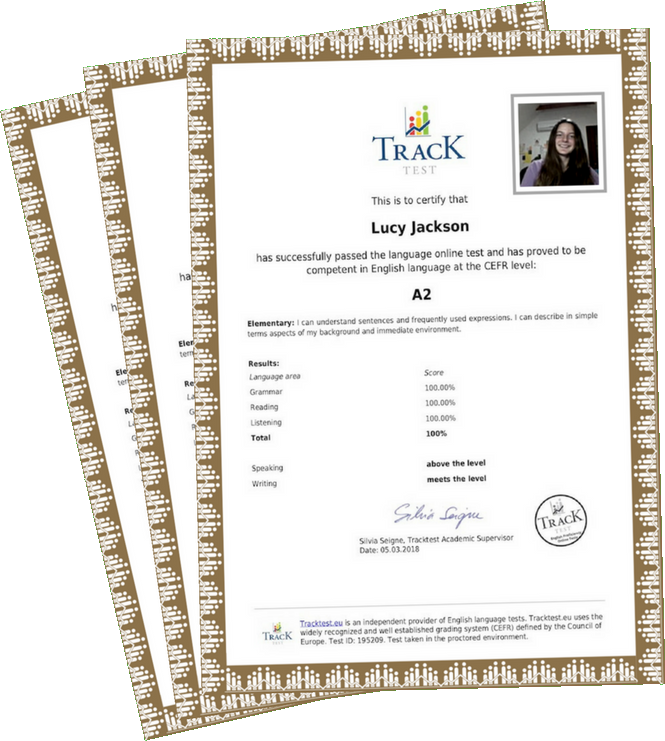 TrackTest verifies your identity using a webcam and a government-issued ID, so employers and schools know that you completed the English test. Your name on the certificate needs to match the name from your identity card. TrackTest records you and your actions during the test session to ensure that only you and not somebody else took the test. 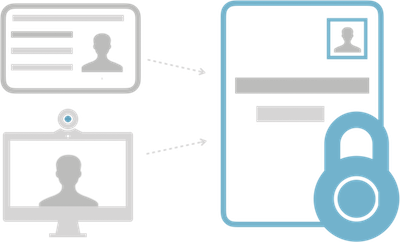 You need a front-facing webcam or camera on your PC or smartphone and Chrome/Firefox web browser which will run in full-screen mode. Verification confirmation is delivered six days after the completion of the Verified test.